I wanted to do a follow-up post on my copyright infringement post that a lot of you guys commented about both on here and via Twitter. I’m so happy about your support and encouraging words that you guys found, but unfortunately not everyone thought it was a good idea to blog about this. And I wanted to address that. Various people yesterday expressed their concern that it wasn’t a good idea to blog about this story, but I really wonder why? Why wouldn’t it be a good idea to share my story about how my copyright was infringed with the use of 4 photos without permission by a big company, especially when it has the potential to encourage you to do the same if you have had your pictures used without permission? Why wouldn’t I blog about it, especially since I won the case? Why would I be scared? Of course this can put other brands off from working with me, and so could it put off employers and other clients. But why? All I did was make use of the laws that were already made. If a company is scared of people taking legal actions against them, then that means they are aware of their unlawfulness. And then why would I care if they wouldn’t want to work with me? 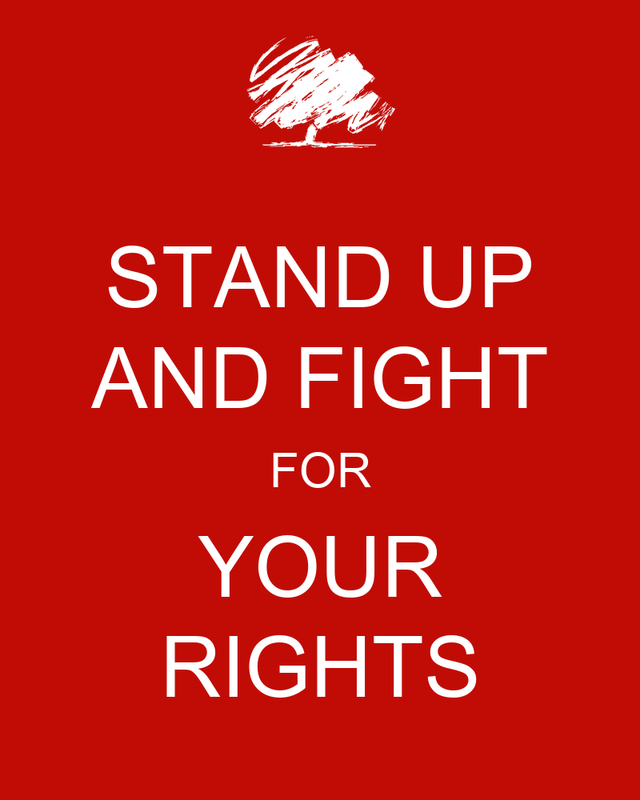 We might scare people off, but we should ALWAYS stand up for our rights. And talk about it. And encourage each other to do the same. I had taken the pictures 3 months and put them on the blog then, so any use of my pictures anywhere else 3 months later without my permission is a very clear simple copyright infringement. I didn’t know what kind of damages I could claim – after all blogging & photography aren’t my main source of income. But that doesn’t mean I’m not going to try and rectify the situation and just let it slip. It was numerous posters on every till for over 38 days in their store, well into the Olympics at Westfield Shopping Centre which apparently saw 5 million visitors in those 2-3 weeks. Some saw my pictures, some might’ve even been motivated to buy the product that the poster was promoting with my pictures. But none of that actually matters. Because it was still my pictures and they still used them without my permission. The law is very clear on that. The law is also very clear on when pictures are being used without permission online. You have to email the website owner first and ask them to remove the pictures, only then if they don’t respond you can have a case against them. If it’s printed without permission that’s a whole different ball game. Also, because it was a no-win-no-fee company assisting me with this matter, I had nothing to lose and I did want to explore what it’s like because if myself as a nobody blogger can be victim of this unlawfulness then I’m sure much bigger bloggers are even more at risk. Apparently there was a case where a big groceries chain used a picture of a blogger without permission, turned it into a caricature and printed that on t-shirts and sold that. She got her money too. And talked about it in the press! And why wouldn’t she?! So why would I be scared, if I have no money to lose. Because potential brands and employers could be put off? Well, if people are scared of this, then that for me implies that they are aware that they’re doing something very illegitimate. If you don’t think you’ve done anything wrong, then you got nothing to fear. And going from you guys’ reactions, I’m certainly not the only one who’s had their pictures used without permission, so I wanted to address this and show that even us small bloggers can stand up for our rights and get some sort of compensation. My honesty and you guys comes before brands. Yes I very much like working with brands for my blog, but I’m not earning a living with this so I don’t have to keep that balance between my honesty, integrity and responsibility to you, and happy brands. I work for you and I, I am Switzerland. I don’t care if brands don’t want to be associated with me because I stand up for my rights. I’m not a troublemaker. If a law or contract is broken, for whatever reason, and I’m aware of that, then I will pursue that. And that’s my right, literally. That’s what we all pay our ministers and whatnots to do – to write bills and policies that protect us. So maybe this will help you guys, those who’ve been victim of copyright infringement and it might give you the courage and strength to actually do something about it. And that was the point of this post. I loved this post, you cant let people pick on you or steal your ideas/work no matter how massive the brand is. And the bigger the brand is the more they will know that what they are doing is wrong! Omg! That’s absolutely terrible that they’d do that! You’d think that such a big company would understand the legalities of taking someone else’s picture. I’m really proud of you for standing up to a bigger company. Im sure they do, I think they just didnt think I’d find out. And I wouldn’t have if M&S hadn’t put on an event at the Westfield and my friend hadn’t gone into that Boots! Exactly and as this is my PERSONAL blog (that I use for professional purposes) I dont have to censor myself and from all accounts Ive been getting a lot of messages from people saying other companies used their pictures so it’s good that it was brought up! Hi there, I’m a fresh new freelance web designer only starting out and I’m in need of a portfolio. Do you need an internet site design without charge?